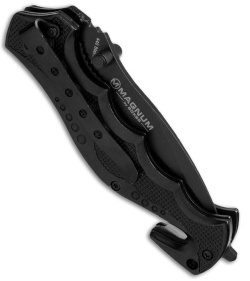 This powerful rescue knife features all the essentials: seatbelt cutter, glass-breaker, serrated blade, and pocket clip for easy carry. 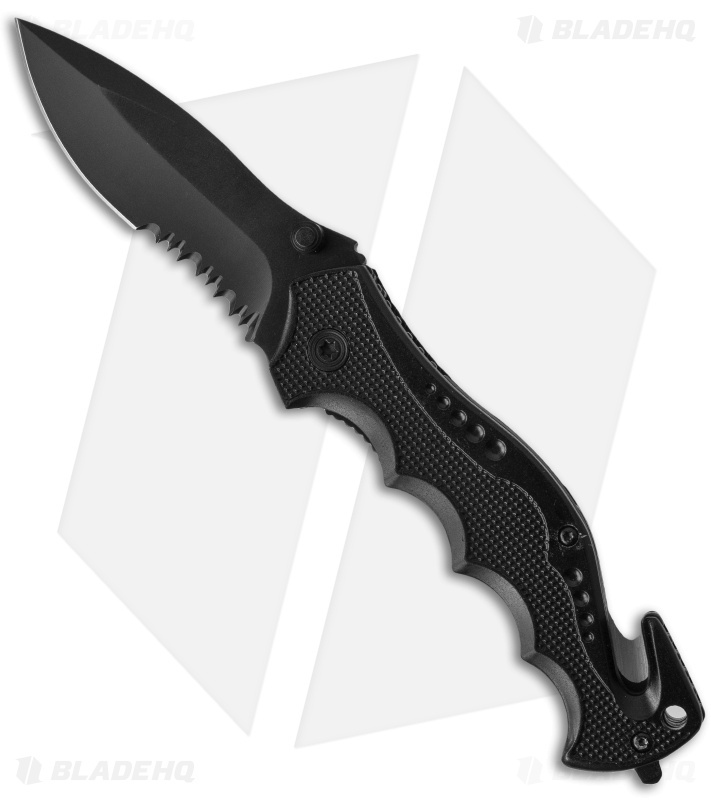 The blade is black coated 440 stainless steel, and locks securely with the liner lock mechanism. Another special feature of this piece is that it is ideal for customization - the "Magnum" logo has been moved to the back side of the blade, leaving the front side open for engraving.